Cory Booker started as a local city councilman, then went on to become mayor, then U.S. senator. Now he has his eye on the White House. Brian Thompson reports. 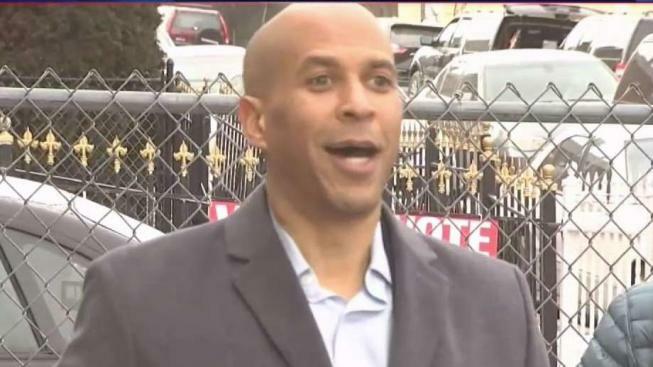 New Jersey Sen. Cory Booker entered the Democratic presidential race on Friday, announcing he is running for president. "Together, we will channel our common pain back into our common purpose," Booker said. Booker is the second black candidate in a primary field that's already historically diverse, delivered his message of unity amid an era marked by bitter political division. He announced his run on the first day of Black History Month, underscoring his consequential status as America's potential second black president after Barack Obama. "What my neighbors are concerned with, and I've heard all around the country, is that people in America are losing faith that this nation will work for them," Booker said during a press conference held in Newark, New Jersey, Friday afternoon. While addressing the public, Booker stressed the importance of leadership that champions patriotism and unity. He said he is looking to "unite Americans in this race" and bringing people together. "It's about time we get to the hard work of building this nation to be who we want us to be -- our best values, our best ideals, the best of who we are," he continued on to say, adding "We need leadership in this country who understands what patriotism means, and patriotism is love of country. And, you can't love your country unless you love your fellow countrymen and women." During his press conference, Booker also talked about his support for a more fair tax code, public education, justice and teachers. Booker, who grew up in Harrington Park, served as Newark mayor for more than seven years starting in 2006. Prior to his tenure in office leading New Jersey’s largest city, he founded a nonprofit organization to provide legal services for low-income families and, at age 29, served in the Newark City Council. In 2013, he won a special election to represent New Jersey in the United States Senate and was re-elected in 2014 to a full six-year term. 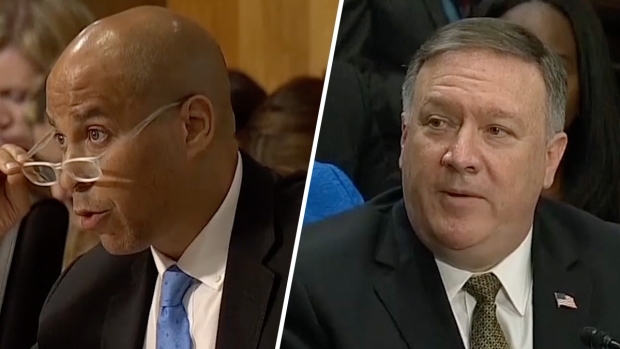 Booker now serves on the Senate judiciary, foreign relations, environment and public works and small business and entrepreneurship committees. Booker is also the ranking member of the Senate Subcommittee on Surface Transportation, the Senate panel responsible for overseeing Amtrak and passenger rail in the U.S.
Booker follows other Democratic senators who have also announced they are running for president in recent weeks, including New York Sen. Kirsten Gillibrand and California Sen. Kamala Harris.